What is an ATM Class? 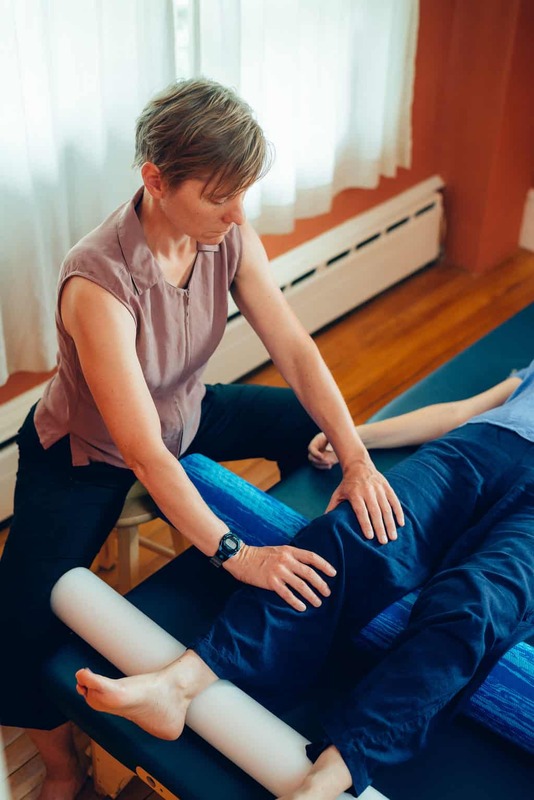 Fritha Pengelly is a Guild Certified Feldenkrais Practitionercm and a Certified IOPS Practitioner based in Northampton, MA. In 2013 she graduated from the Feldenkrais Professional Training Program at the Feldenkrais Institute of NY where she studied with director David Zemach-Bersin, Sheryl Field, Anna Johnson, Aliza Stewart, Arlyn Zones, Ruty Bar, Deborah Bowes, and Elizabeth Beringer. She has also had the pleasure of studying with Dr. Jeff Haller, and graduated from Dr. Haller’s first IOPS Academy Graduate Training in May 2017. Fritha Pengelly has over 30 years of dance and movement experience, and has been a certified Pilates instructor since 2002. She spent seven years (1994-2001) performing and teaching nationally and internationally as a member of the New York City-based Doug Elkins Dance Company, serving as co-rehearsal director from 2000-2001. In addition to her work with the Elkins Company, Fritha has performed with The Chamber Dance Company, David Neumann, and Wire Monkey Dance. Her dances have been performed at several venues in New York City, The Five Colleges in Massachusetts, Northampton, Darien Arts Center (CT), Seattle (WA), Omaha (NE), and at the Inside/Out Series at Jacob’s Pillow. Fritha received her M.F.A. 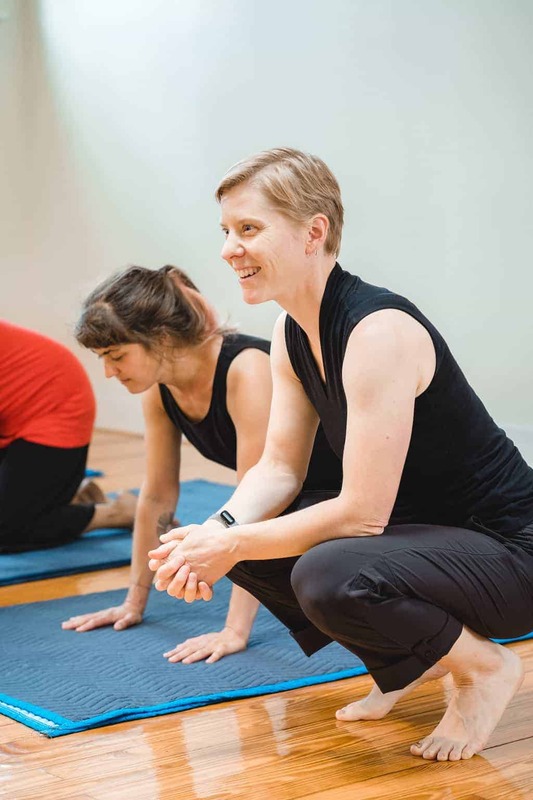 in dance with a focus on anatomy and physiology from the University of Washington and currently teaches Dance Kinesiology at the Hartt School, University of Hartford in Hartford, Connecticut. She has also taught as a visiting artist at Hampshire College, Amherst College, Mount Holyoke College, the University of Massachusetts/Amherst, Bennington College, North Carolina School of the Arts, Wake Forest University, and Springfield College. Fritha teaches Awareness Through Movement classes and Functional Integration lessons as well as Dance for Parkinson’s classes in Northampton. MA. Contact Fritha for more information about her classes and private lessons. “In 18 months, sharp pain in my hip had reduced my exercise to nil and increased my waist to new widths. My doctor said it was arthritis, and I should get used to it and just take more Omega-3 oils. I wasn’t sure about Feldenkrais, but I was confident in Fritha. I was confident in her anatomical knowledge. I knew she had a M.F.A in Dance and has been an accomplished dancer in US and Europe, a choreographer, and a certified Pilates instructor. The first session, Fritha watched me step forward; lightly moved my hip joint just a bit without any pain; and gave me 3 tips to think about as I walk. Simple! The next morning, the pain was gone. The second session she explained with all confidence what she had done and why. My weight was now properly aligned. I just needed to apply those 3 slight changes long enough for them to become habit. Now – 3 months later, I have a spring in my step; and I look forward to exercising on a stationary bike, in the pool, walking up sand dunes, or climbing the stairs. “I have experienced Fritha as both a movement teacher and a hands-on practitioner of Feldenkrais and have enjoyed and benefited from both. With joint and disc issues, I was looking for a strengthening movement class that was safe enough for me. As a teacher, Fritha offers a grounded and warm presence and clear, thoughtful instructions. Her classes start out with gentle, mindful movements and build to more vigorous movement. The wonderful progression she uses allows me to find ease and effortlessness even as the movement sequences get more physically demanding. The magic of Feldenkrais for me is dropping under the muscular-skeletal effort and finding a place in my nervous system that is calm, quiet and easeful to move from. This is really important for me to build strength in a safe and healthy way. I have had only a couple of hands-on sessions with Fritha, but she brings all her teaching skills and more to her hands-on work. She observes carefully and mindfully. I arrived at one session very bound up in my neck and back, feeling stiff and immobile. After each gentle intervention I felt my breath deepen spontaneously and flow return to my body. After an hour of gentle and subtle hands-on work, my joints and muscles were able to unwind and have more ease and flow. I would recommend her classes and hands-on work to anyone who wants to feel more connected to themselves in a loving and easeful way.” – Lucy H.